Emerging and frontier stock markets have been battered this year, with one unusual exception: Zimbabwe’s MSCI index was up more than 200% in early October and is still up more than 90% for the year, thanks to local investors desperate to preserve the value of their savings. Bank collapse and hyperinflation are again looming a year after longtime President Robert Mugabe was forced to resign last year. His successor and former deputy, Emmerson Mnangagwa, won his own term for the ruling Zanu PF party at elections in July, with the opposition claiming widespread violence and vote-rigging. The President and his team, with Mthuli Ncube, former chief economist at the African Development Bank, as Finance minister, have tried to shake off years of international commercial sanctions and shunning, with outreach at this year’s International Monetary Fund (IMF)-World Bank meetings and conferences in the United States and the United Kingdom. Their return to the global investor stage is so far symbolic. They have endorsed the privatisation of State enterprises, fiscal discipline and clearance of official arrears, while the banking and multi-currency systems heavily reliant on electronic transfers and artificial “bond notes” unravel. Foreign portfolio investors remain at a distance from the monetary chaos and lingering pariah status, when they could join their domestic counterparts in formal collaboration to press for urgent steps to hasten a return to the developing financial market mainstream. 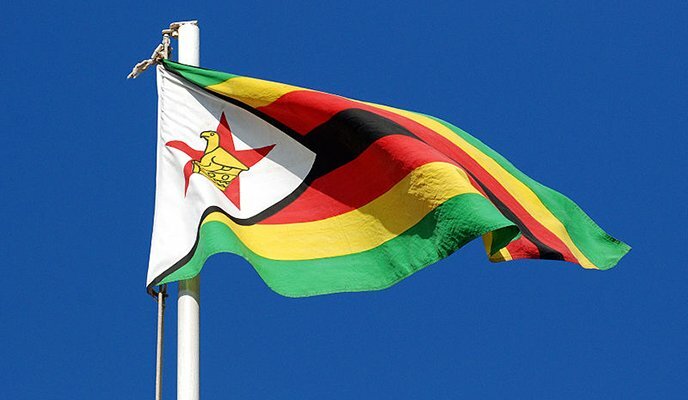 In October, an executive delegation hosted by the US Chamber of Commerce and Corporate Council for Africa in Washington proclaimed Zimbabwe was “open for business”. However, banking and finance were not represented, even as presentations focused on the difficulties of accessing credit and funding normal operations in real estate, energy, agriculture and technology. Potential partners attending the roundtable noted the absence and the basic nature of the slide shows, reflecting the delegation’s inexperience at global investor gatherings. Zimbabwe’s ambassador urged participants to consider the country’s human and natural resources, after a long period in which cross-border engagement was confined mainly to the South Africans and the Chinese. A State department official expressed the Donald Trump administration’s view that political and economic reforms were preconditions to stronger diplomatic and trade ties, as individuals associated with the Mugabe regime remain under asset freezes. Mnangagwa later ramped up the rhetoric at a Financial Times event in London, where he compared planned restructuring efforts to the UK’s Margaret Thatcher “revolution” four decades ago in cutting the public sector payroll and selling off State-run companies. He promised to collect taxes and proposed a new levy on electronic transfers comprising 95% of financial transactions, and targeted hundreds of millions of dollars in revenue through an anti-corruption crackdown. He talked of a “zero tolerance” campaign that had resulted in the arrests of top business and government people, with suspects going into exile to avoid investigation. As a strong signal, Mugabe’s Energy minister Samuel Undenge was sentenced to prison for contract fraud. Gross domestic product (GDP) growth this year may exceed the IMF’s 3% to 4% forecast, with gold production already higher than in 2017, while the private sector will expand in farming with compensation for previous seizures. Mnangagwa lauded Ncube’s overtures to official creditors on debt settlement, and progress toward a full IMF programme. However, the minister admitted in October that the budget deficit, at 11% of GDP, was three times the original target. Prices of staple foods, fuel and medicines suddenly spiked several 100%, recalling the pre-2009 hyperinflationary era, as he signalled intent to purge bank accounts of “bad” electronic and bond note dollars which trade at a discount to hard cash. His office also threatened 10 years in prison for underground currency traders, and the central bank further stoked financial system anxiety with an order to keep remittance flows in separate facilities for easier identification. The Cairo-based African Export-Import Bank, which backed the introduction of bond notes in 2016, again agreed to guarantee them at full parity value with physical money, and the Mnangagwa administration as a backstop also borrowed $250m from London investment fund Gemcorp, which was founded by a former executive at Russia’s VTB Capital. According to local brokerage reports, out of $9bn in deposits only about 10% is US dollars, euros or South African rand, with the overwhelming balance so-called bond notes, which economists agree should be phased out for the sake of monetary stability. Ncube has implored citizens for patience over the transition, but the memories of massive devaluation and lack of trust are too embedded. Against this background, investors at the London conference in November were unmoved by the MSCI index’s triple-digit gains and the minister’s pledge to end indigenisation laws and permit foreign majority ownership of listed companies. To resolve the confidence and policy impasses, both sides should form a joint economic and financial market task force to speed rebuilding and reintegration. It would concentrate a focus on private capital that is still lacking under the new leadership, while finally tackling dual banking and currency crises for a fresh start. This interim model could also fill a glaring gap, as post-sanctions countries elsewhere on the continent, such as Sudan, begin the journey towards longer-term commercial financing.